Los Angeles, California, March 10, 2015 – Record deal up for grabs. Yes, you read that right. Focusrite has teamed up with Caroline Music International, a division of Universal Music Group, to offer one talented YouTube performer the possibility of a recording contract. All you need to do to enter is record and upload a YouTube video of yourself singing and performing an original song on an instrument, and submit it through the competition page. Entry is free, stakes are high, and clocks are ticking – so what are you waiting for? The competition starts at 9:00 a.m. GMT (5:00 a.m. EDT) on March 10, 2015, and runs through 4:00 p.m. GMT (12:00 p.m. EDT) on June 10, 2015. At that point, a panel of judges will pick 10 eligible performers that show the most potential. The panel will hand them over to the team at Caroline, who will then pick the winner. Don't worry if your mic isn't the best, or if the only camera you have is the one with the cracked screen you found in your basement that one time. Focusrite is looking for the performers with the most talent, not the highest budget. If you don’t have a camera – cracked or otherwise – Focusrite’s iTrack Pocket provides the simplest way to enter this contest! 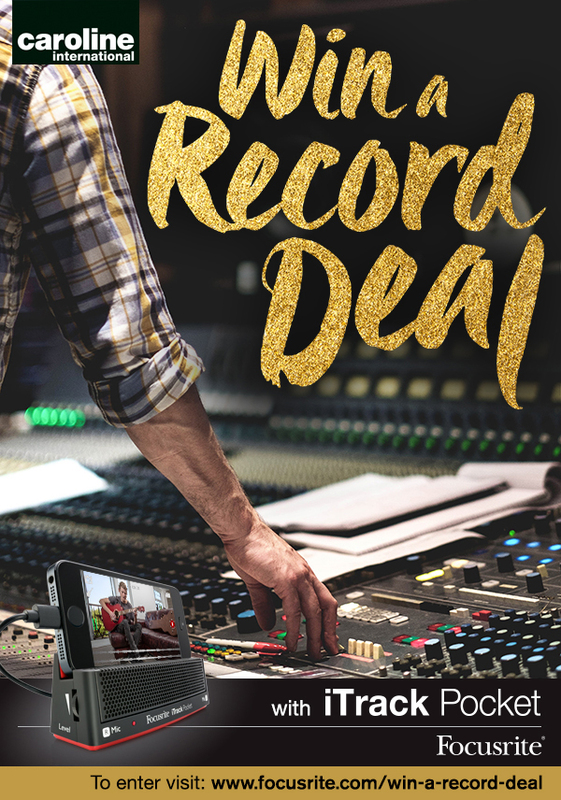 Featuring a high-quality stereo microphone, pristine guitar input, and Focusrite’s Impact iPhone app, it captures great sounding HD videos to an iPhone and lets you easily upload them to YouTube.